The raccoon was looking for a way in. The homeowner noticed and gave us a call. That was the smart thing to do. 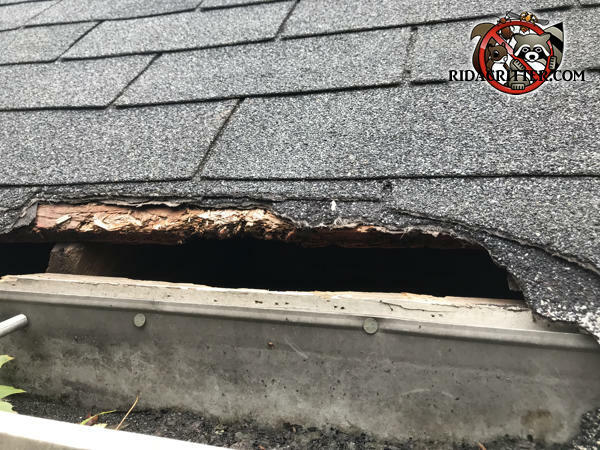 Some shingle damage is nothing compared to the damage raccoons can do inside an attic.